My second travel destination feature is one that has slowly become a place near and dear to my heart. Honolulu, Hawaii is a tropical island like no other, with all the hustle and bustle of a growing city (and boy is this city growing!) but also has those secret hidden gems that are quiet, serene and breathtaking. My guncles have been vacationing in Hawaii for around 30 years and a few decades ago they decided to make it their second home, buying up real estate and living there for 6 months of the year. They have developed quite a life over there, meeting some amazing people, hiking the island far and wide, and immersing themselves in the rich community that has welcomed them with open arms. So you can imagine that I have been fortunate over the years to stay with them when I venture to this tropical island and most recently, we took our little peanut Grayson to visit them when he was just 3.5 months old. Because of this, I've had the chance to meet some of their amazing friends. Including the lovely Jill Hatch and her family. I swear we are separated at birth! You know when you meet someone where you just 'click'? Ya, that's Jill and I in a nutshell. 'Why can't we live closer' is a common phrase (and complaint) in our text messages! You might remember Jill from the In Good Company feature on my site or the food post she contributed to recently. So it's no surprise that I enlisted her help with some of her favourite places to go, eat, see and do in Honolulu. My knowledge is is limited to where I have been and she's a girl about town, a foodie like I am and not to mention, she owns a beautiful little shop called Sugarcane Hawaii (which I HIGHLY recommend visiting if you get to Honolulu). Heavenly Island Lifestyle - If you are wanting to find a place that puts the local in organic, this is the spot for you. Serving only the freshest fare fit for those health nuts, Heavenly is a place you must head to for some nourishment post Diamond Head hike. My reco is the Acai Bowl. The freshest fruit served with Hawaiian granola and Big Island Bee Honey. E.a.r.l. : A Sandwich Experience - If not for the food, you need to go to this place because of the name (and for the record, EARL stands for 'eat a real lunch')! I have 4 words for you: hand-crafted gourmet sandwiches. They bake their own bread in house, use only the freshest quality ingredients that is locally sourced where they can get it. And yes, to all of those on the smashed avocado bread train, they serve that too and it's likely, well, amazing. But do note, their French Dip is well worth the try. Town Restaurant - We had lunch at this little lunch spot, thanks to Jill's recommendation (and it's located in the same neighbourhood as her shop in Kaimuki). The food is extremely fresh and local, and it was casual enough to bring our little guy with us. Because of their fresh fare, the menu changes daily, but I do fondly remember the delicious beef ragu pappardelle I devoured (below). Yes, I will be going back to this place in a hot minute once I can plan another trip to the island. Mud. Hen. Water. - I have yet to go here, but this spot is also owned by the folks who own Town Restaurant. Specializing in Hawaiian food as it stands today, the unique name is the english translation for Wai'alae which is the neighbourhood where you will find this beautiful but quant spot. Their patio is adorable and worth the visit, just to sit and watch the sunset while sipping a cocktail. Their menu has a variety of snacks, small and large plates for sharing with a bigger crowd or even just for two on a date night. The Pig & The Lady - We actually went to this place when Nate and I were in town recently and loved it. 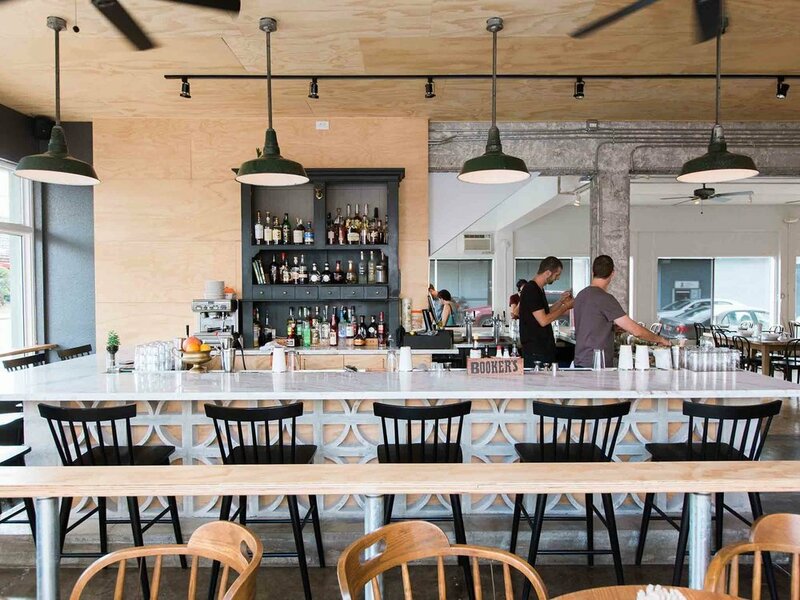 Located in Honolulu's historical Chinatown (a MUST to visit, with the rich history and newfound injection of hot spots), this restaurant is very open with an industrial feel. The owners also have a few other spots that are equally as popular (Piggy Smalls would be one). The fare is Vietnamese, but with their own flair. I would highly recommend ordering a cocktail because they were amazing. Their menu does change but one thing is for sure: their LFC Wings. They are a MUST and a staple on the menu. South Shore Grill - This is a hole in the wall and nothing fancy, but their tacos are amazing! I have a love affair with tacos, so when I can get my hands on some good ones, I will forever be a lifelong fan. Located in my guncles neighbourhood of Diamond Head, you may miss it if you drive by too fast. We enjoyed a little snack en route back from a Diamond Head hike and were not disappointed. If anything, have the cajun grilled fish tacos. You won't regret it. House Without a Key - This gorgeously situated restaurant is in one of my fave spots - The Halekulani Hotel in Honolulu. We actually had our last supper there before heading home since we celebrated both my uncles 65th and my 40th birthday. If you like sunsets, this is the place to be. The food is delicious, serving a lot of local, fresh fare with some traditional dishes like roasted chicken, cobb salad and spaghetti bolognese. But the view is worth it and on every night, you will get to see a free Hawaiian music show on the patio. Perfection. 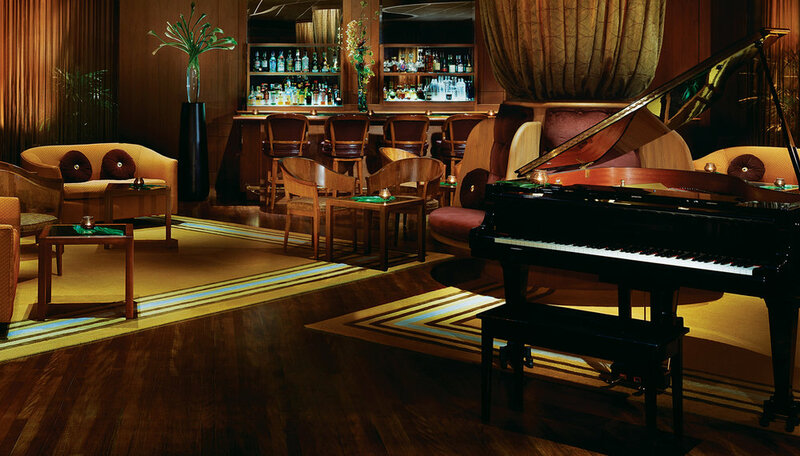 The Lewers Lounge - Also located in the Halekulani Hotel, this little jazz bar gives you a taste of NYC but in Hawaii. Definitely a place to go for some classic cocktails and jazz music post dinner on a date night with your sweetie. They have live entertainment that will definitely not disappoint and you can snuggle into a corner booth with seating covered in dark velvet and wood. But PLEASE note, they do have a dress code, so make sure you check out their website before you go. Hawaiian tank tops, boogie shorts and flip flops will get you turned away. KCC Saturday Market - Never have I been to a weekend market (at 6am nonetheless!) and had full blown lunch options to choose from. You can find this at the KCC Market (Kapi'olani Community College) where you can get the BEST orchid plants I've ever seen (and cheapest), a lot of local fare being cooked by various vendors and so much more. I would highly recommend visiting this place at least once on your travels, because you get to see how the locals do their Saturday mornings and who doesn't love a good Saturday Market? The BIGGEST green onions I have laid eyes on. Makapu'u Point (Lighthouse Trail) - If you want to see breathtaking, panoramic ocean views far and wide, this is the place to hike to. And don't worry, the path is nicely paved for all of you city dwellers! It's a lovely trek located just north east of Waikiki. My guncles have taken me there on a couple occasions now and this time was a challenge with baby in stroller (or I was a wimp because my exercise regime post baby was suffering AND the humidity was off the charts). Either way, its a great way to get some exercise in and soak up your surroundings because it is like no other. Making it to the peak is so totally worth it. Lanikai Beach - Consistently ranked as one of the #1 beaches in the WORLD, this is a little piece of heaven. Soft, white sand, blue water and complete seclusion. If those aren't good enough reasons to hit this place up with your favourite book and maybe a mai tai, I don't know what is. Byodo-In Buddhist Temple - I went and visited this temple on my first trip to Honolulu visiting my guncles. Located in the Ko'olau Mountains in Valley of the Temples Memorial Park (north of Waikiki) it is absolutely serene and full of rich history. This temple was built in 1968 to commemorate the 100 year anniversary of Japanese immigrants to Hawaii and is a smaller scale replica of the temple by the same name located in Uji, Japan. An abundance of plush greenery, landscaping and more koi fish than you can ever imagine. If your a big meditator, I would recommend you try and squeeze some in while visiting this peaceful temple. Hike Diamond Head - One of things I have done the most is hike the Diamond Head crater because it's literally in my uncles' backyard and they're true hikers who have climbed every square foot of the island. This is a great local hike that most people can do (no, it's not like the Grouse Grind for all of you Vancouver locals!) and once you get to the top, the views are far and wide. Diamond Head is a part of the Hawaiian volcanic chain (no worries, it hasn't erupted in over 150,000 years!) and is also called "Le'ahi," which means "brow of the tuna" in Hawaiian. It got the name Diamond Head almost 200 years ago when British sailors believed there were diamonds in the side of the crater. Although none were found, the name stuck. Before you head up, please note, Diamond Head is one of the busier trails in Honolulu, so if you prefer to avoid the crowds & tourists, I would hike it earlier than later to enjoy the trek in peace, sans traffic jam. 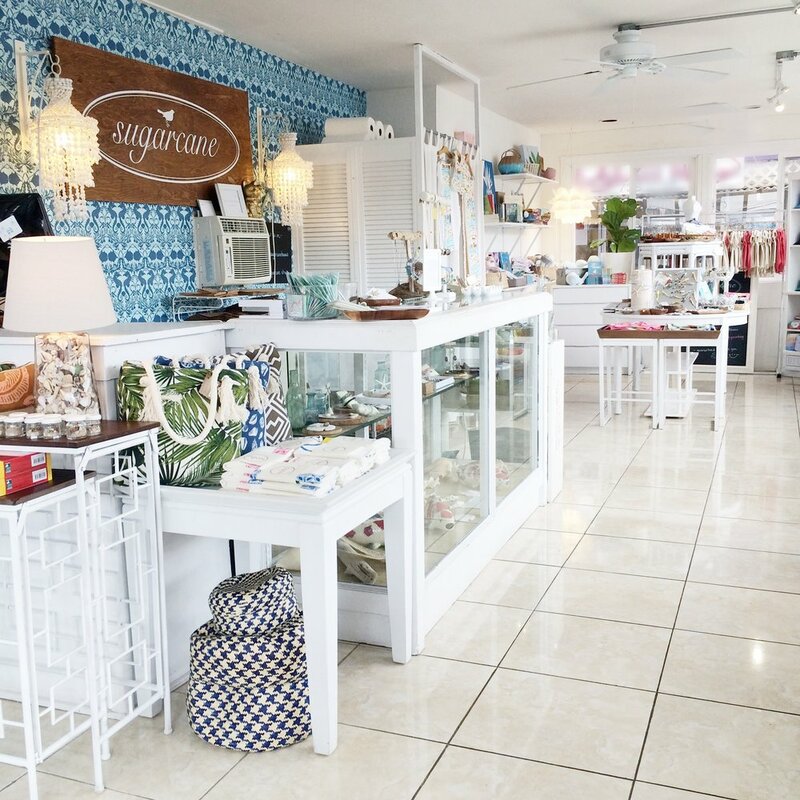 Sugarcane Shop - I've mentioned this before and I don't mind pumping her retail tires, but Sugarcane Shop Hawaii is an adorable, well-curated little shop located in the Kaimuki neighbourhood owned by none other than Jill Hatch. The shop is full of locally curated goods by local artists (so if you enjoy supporting local artists, you NEED to make a visit), where you can find everything from beautiful tea towels, clutches and cooking salts to coffee face masks, Turkish towels, artwork and beautiful jewelry. After your visit, you can stop by Town Restaurant for lunch as we did because it's in the same neighbourhood. The Surfjack - this is a cool spot that is a must see because it's where true Hawaiian hospitality lives, paying homage to the true soul of Waikiki. 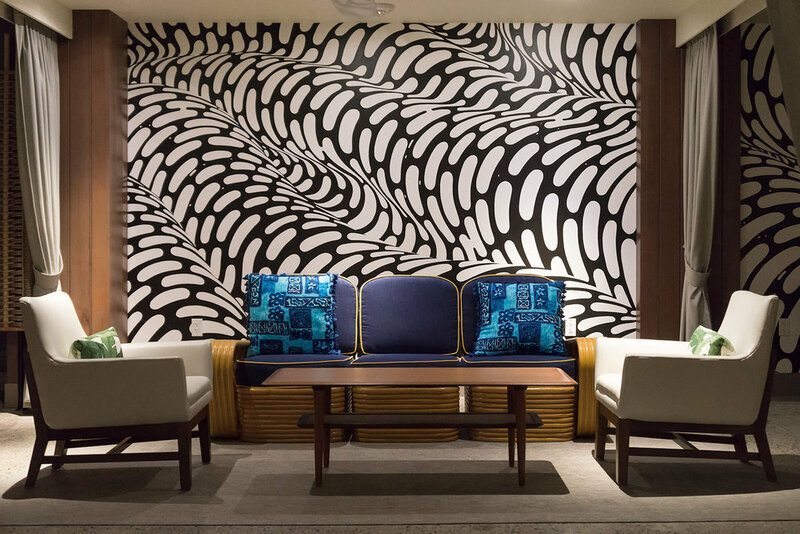 Nestled between the beach and Ala Wai Blvd, this hotel has a lot of retro stuff to offer, including its own Swim Club, where both locals and visitors can comfortably congregate over cocktails and lounge chairs. With 112 vintage-inspired rooms, this is a great spot to hang (and stay) if you're looking for something a bit different and more intimate. Moana Surfrider - This has got to be one of my favourite hotels in Honolulu not because I've stayed here but because I LOVE the historical architecture of the building. 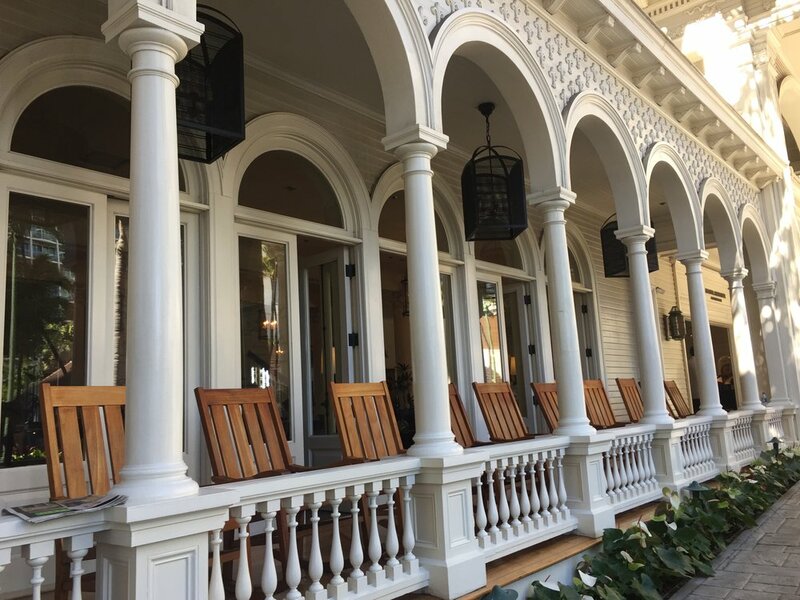 Owned by the Westin Hotel chain, this Victorian plantation style hotel was built in 1901, and remains one of the oldest hotels in Honolulu. The hotel has been kept in impeccable shape but the rich history still remains and you can find out all about it onsite when you visit. Located right in the hub of Honolulu AND right on the beach, there is plenty to do here. Including dining at their popular Beachhouse restaurant where you can take in the views and the sunsets (we had our first Hawaii date night here while Grayson was hanging with his guncles). No need to get a car, everything you need is within walking distance, including the newly revamped International Market Place where you will find shops like Aesop, Jo Malone, Fabeletics, Christian Louboutin and much more. Halekulani Hotel - As I mentioned above, this hotel is one of my fave hotels to just hang out in, grab some dinner and cocktails (and my guncles fave as well). It's one of Honolulu's most cherished hotels, located in the hustle and bustle but tucked back enough from the noise that its a bit of an oasis. If you can afford to stay here, I recommend you stay for at least ONE night! And if not, make sure you enjoy some cocktails and appies on their patio while taking in the sunset and the live music. The Kahala Hotel & Resort - My first trip to this beautiful hotel was to their restaurant for lunch on the lanai with my guncles. And THEN I saw the orchid wall (you cannot miss this inside the main lobby!). This really is a stunning hotel with lots to offer. Nestled in the Kahala residential community, it's also very PRIVATE. They also have a dolphin sanctuary, private beaches and not to mention amazing restaurants to enjoy breakfast, lunch and dinner. Food is top notch and so is the serene oasis. Turtle Bay Resort - If you are renting a car while in Hawaii, you HAVE to take the coastal drive way up north towards Turtle Bay. The drive in it of itself is amazingly breathtaking (with lots of Instagram-worthy shots to take along the way!) but the Turtle Bay Resort is a place worth seeing. Known for its surfing and golf courses, the drive to Turtle Bay is a great way to see the island and a great day trip because it has every outside activity known to man available at your fingertips! For those of you who like a little more of a relaxing trip, they also have a spa where you can soak up the environment around you. No kidding, some of their treatment rooms open up to the outside. I'm sold.